Back to Sacramento via Corporate Rentals: There’s Gold in the Golden State! In case you haven’t been paying attention, California’s back! Our governor has balanced the budgets, imposed peace upon the warring factions in the legislature, and the Golden State is golden again so make sure to grab a Sacramento Corporate Rental while you can! Seriously, more and more business is being done at the state capital, and we are getting more and more requests for short-term rentals in the metro Sacramento area. Like most of California, the rental market is hot, hot, hot! California had a bit of a rocky patch but now it’s back and better than ever! 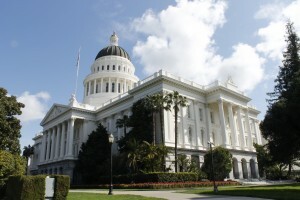 Thousands of new jobs have been created according to governor Jerry Brown. Business is booming, the economy is roaring and foie gras is back on the menu! And all this means that Sacramento Corporate Housing is going fast! If you want to get your foot in California you better move fast to book you Sacramento Corporate Housing before it’s too late. California is once again the hot place to be (quite literally) and even the drought is getting better, with rain to even out the weather. Move fast to make sure you get your Sacramento Corporate Rental! If you’re ready, here’s where you can browse all of our Sacramento Corporate Rental Opportunities. This entry was posted in Corporate Housing and tagged Corporate Rentals, Sacramento on February 18, 2015 by Lee McDonald.